The brief success of the Mahdist state in 19th century Sudan inspired a great deal of hope for the Islamist philosopher-activists who wished to abrogate Western-backed regimes and establish Islamist/Caliphate rule in their own territories. Sudan was once again to become a hotbed of Islamist activities, imported from abroad. Islamist ideologies were reintroduced, especially from Egypt and the Arabian Peninsula, regions both tied to its geopolitical history. ADDIS ABABA – The list of places in Europe and Africa that have suffered from jihadist terrorism is rapidly growing: the seaside town of Grand-Bassam in Côte d’Ivoire, nightspots in Paris, and transport hubs in Brussels, to name just a few. 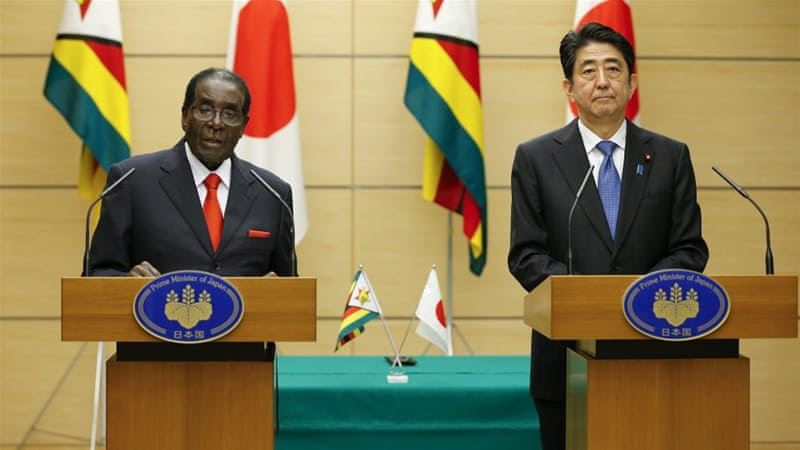 The hosting of Mugabe reveals the duelling pressures that face Japan as it looks to engage more states in Africa, writes Miller [EPA]. Last week, Japanese Prime Minister Shinzo Abe hosted Zimbabwean President Robert Mugabe for an official five-day visit in Tokyo. Abe has now met Mugabe three times, despite Harare's isolation from the West - and, more acutely to Japan - especially the United States. Amid President Recep Tayyip Erdogan's recent West African tour, from Feb. 28 to March 4 and including visits to Ivory Coast, Ghana, Nigeria and Guinea, news reports surfaced of Turkey establishing a military presence on the strategic Horn of Africa, in Somalia. This development will make Turkey the fifth foreign country to have a military presence in Africa, joining Britain, France, Japan and the United States. CAIRO — Egyptians are worried about uncertainties surrounding Ethiopia's schedule for storing Nile water behind the walls of the Grand Ethiopian Renaissance Dam.The latest satellite photos show Ethiopia is preparing for storage, especially since the country pumped water into two turbines to generate electricity, according to Alaa el-Nahry, vice president of the UN-affiliated Regional Center for Space Studies and Egypt’s representative to the Committee on the Peaceful Uses of Outer Space. Ankara (AFP) - Turkish President Recep Tayyip Erdogan will visit four west African countries next week, including Nigeria, his office said Saturday in a new sign of Ankara's desire to be a major influence in the region.